Going to the pits was not at all like I expected. For some reason I thought we’d be walking around garages, get to see drivers crews, have tons to see … but basically we just walked around the track and saw where all the drivers pits were. Some of the cars were already on the track in their pit. 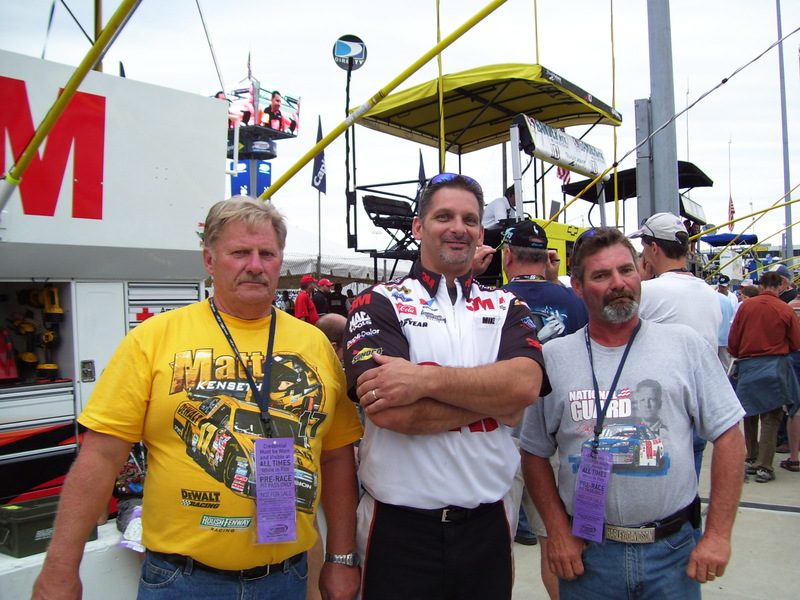 There were just a couple of crew guys hanging out taking pics with people. The whole thing didn’t take anymore than a half hour to get through. 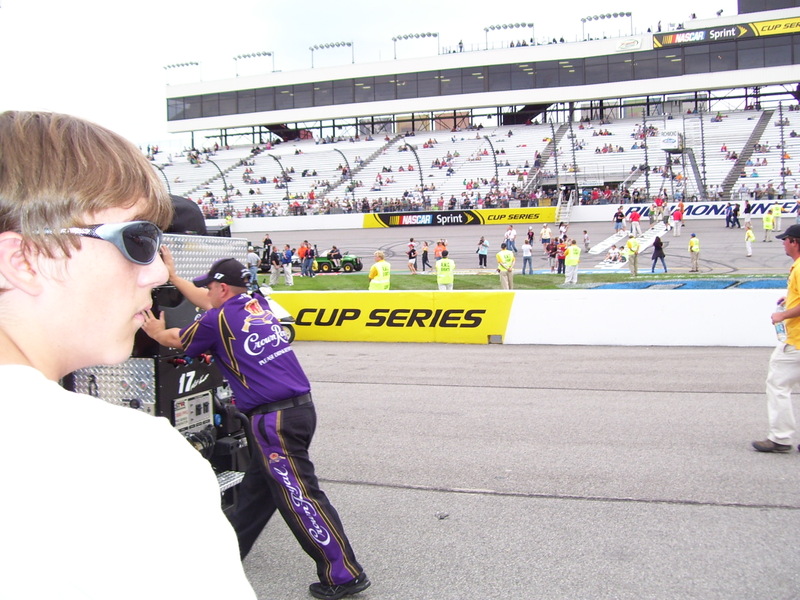 I wondered what the hell my sister found to do last year at New Hampshire all freaking day?! 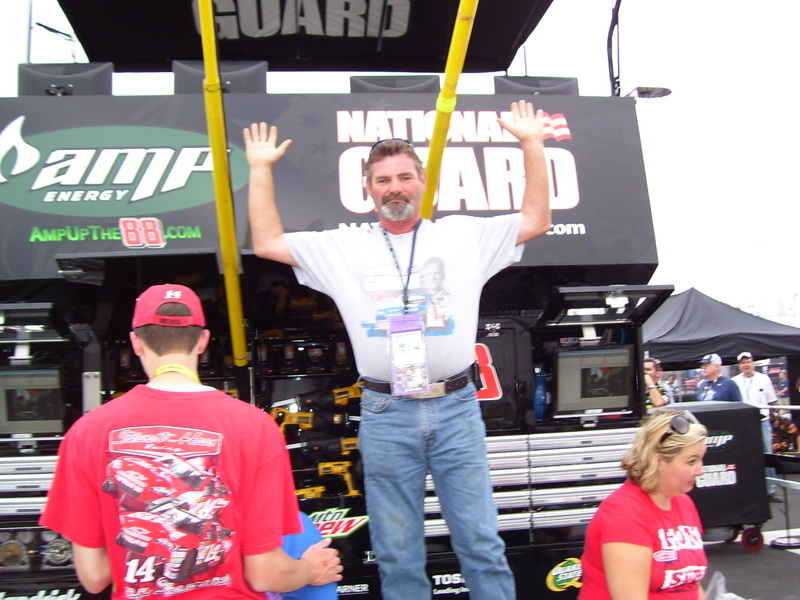 Jay at Dale Earnhardt Jr.’s pit. 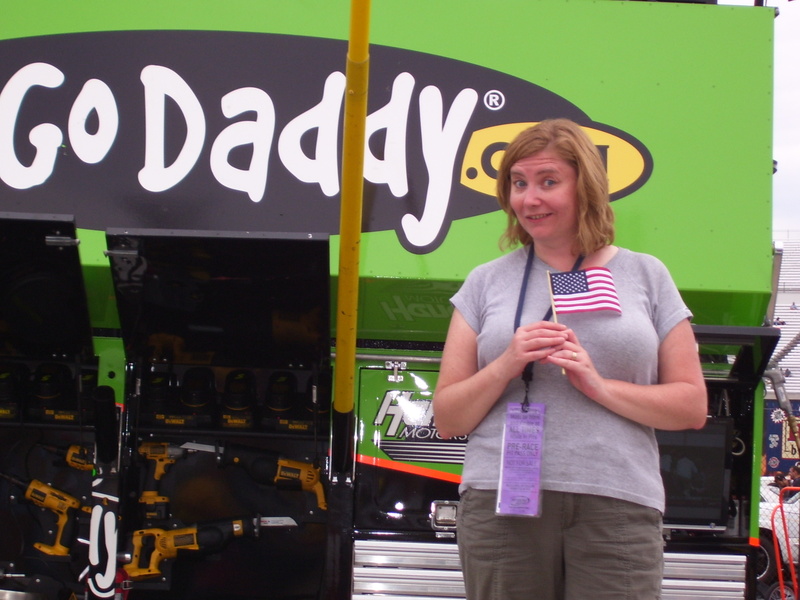 Me in American disguise at Mark Martin’s pit. 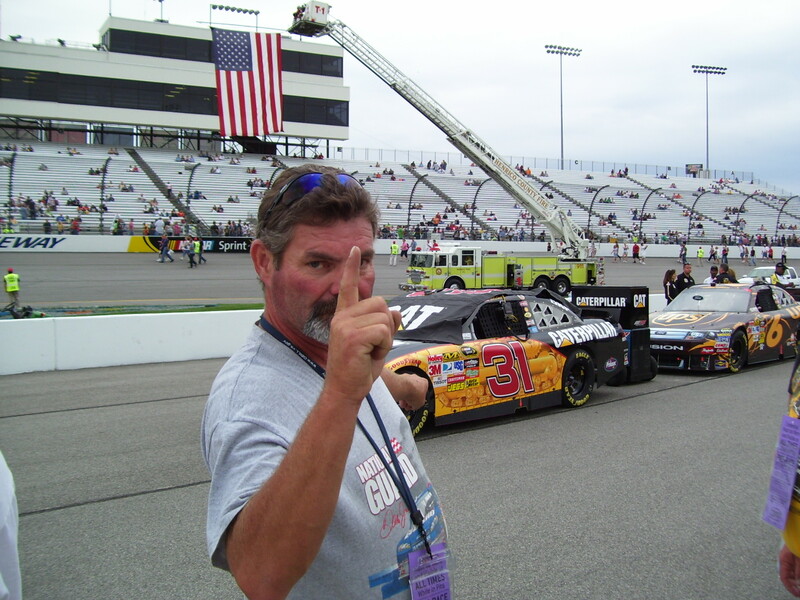 Bob at Carl Edwards pit. Junior’s 88 in the distance. 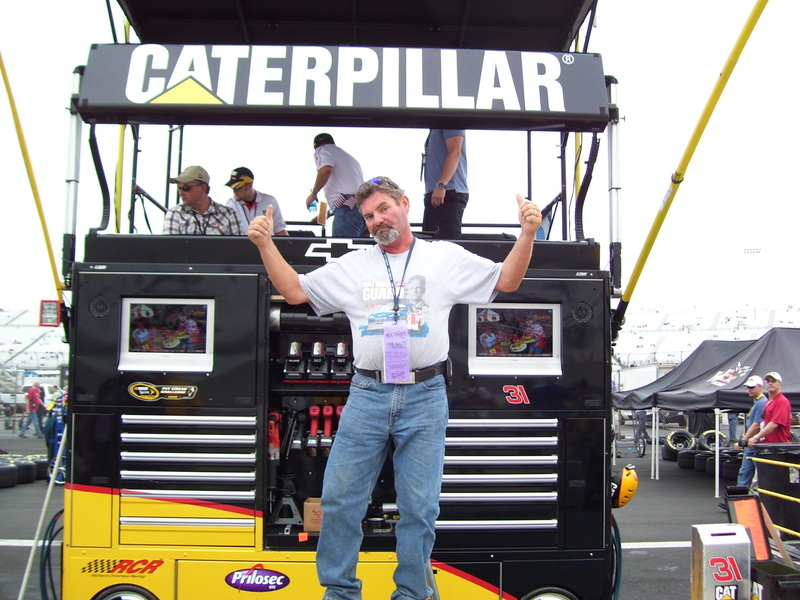 Jay at Jeff Burton’s pit. 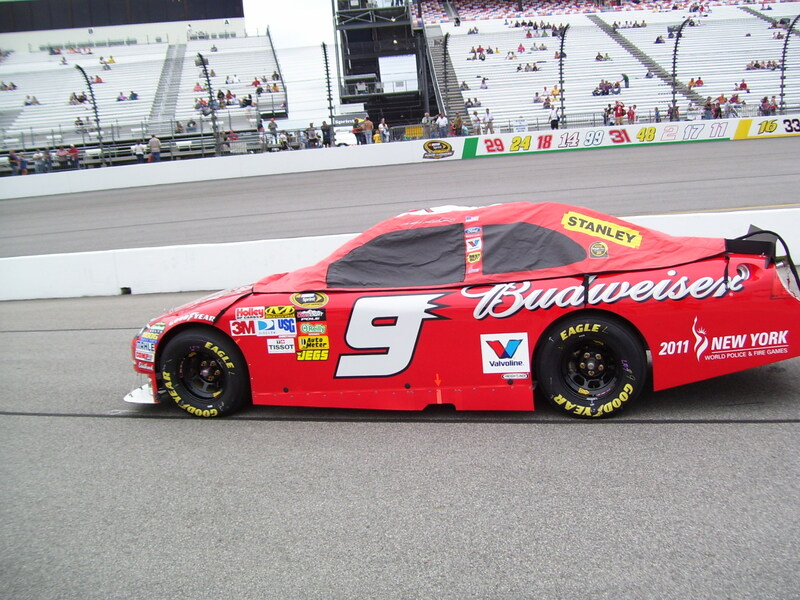 Carl Edwards’ car being pushed to his pit. 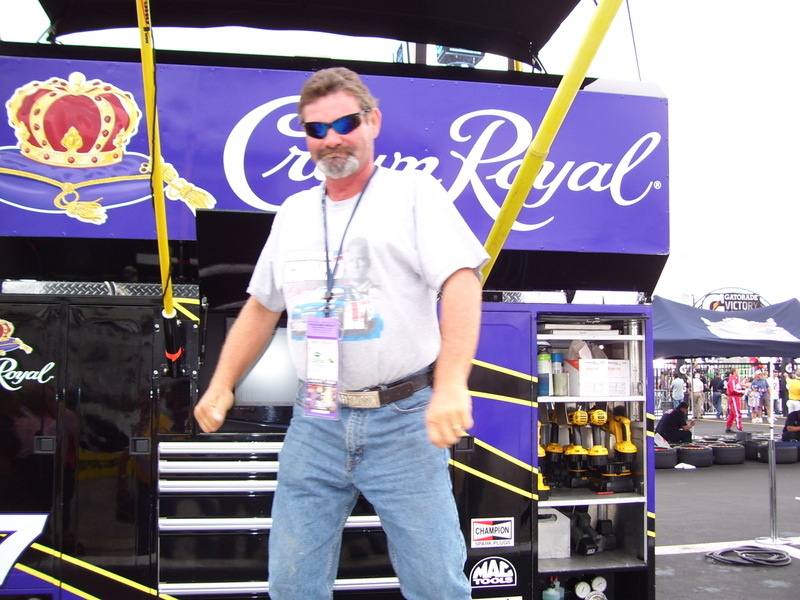 One of Jimmie Johnson’s pit crew. 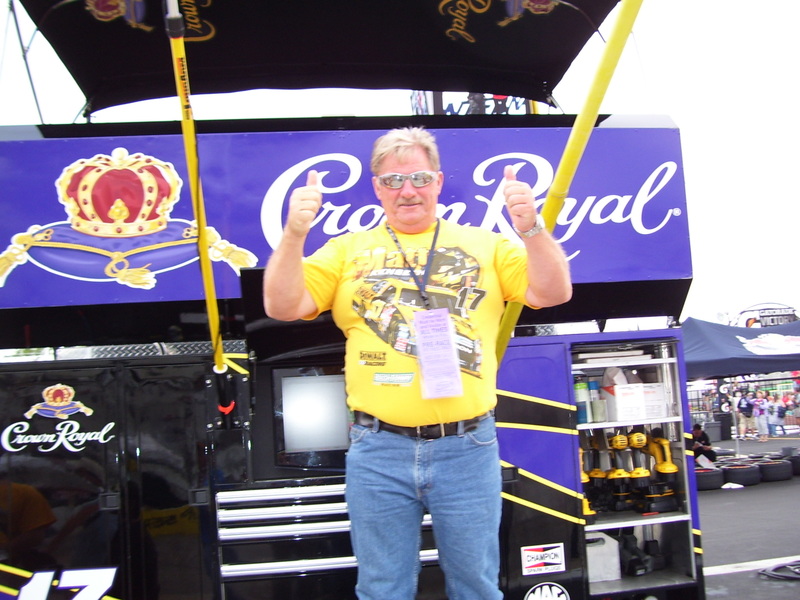 Bob at Matt Kenseth’s pit. 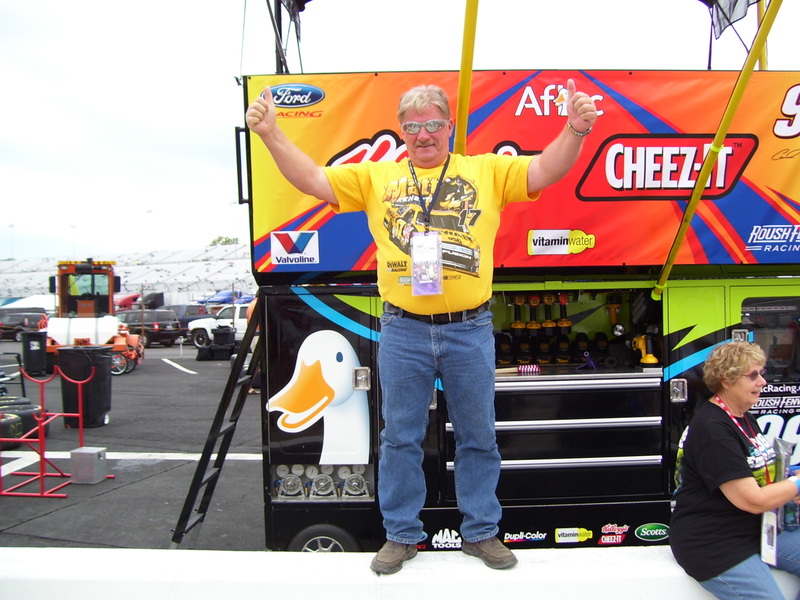 Jay at Matt Kenseth’s pit. 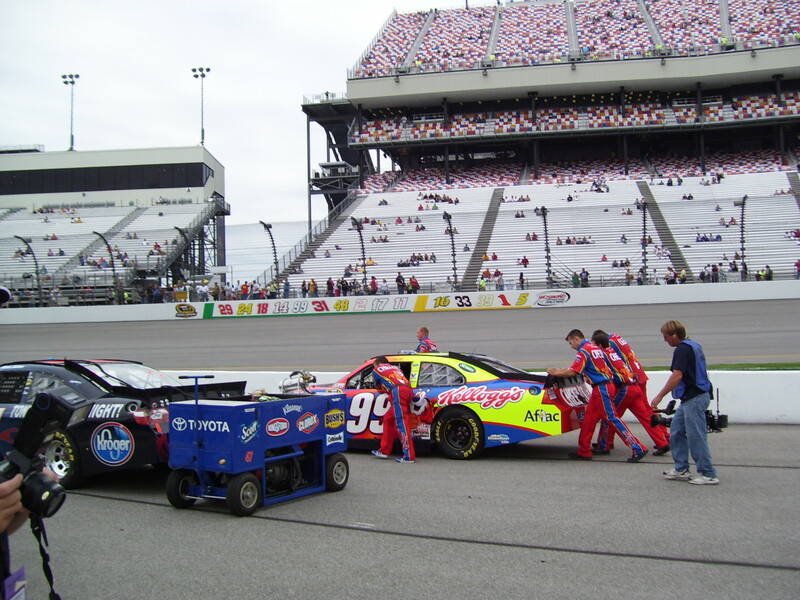 Crew pushing Joey Logano’s car to his pit. Matt Kenseth’s crew pushing to the pit. 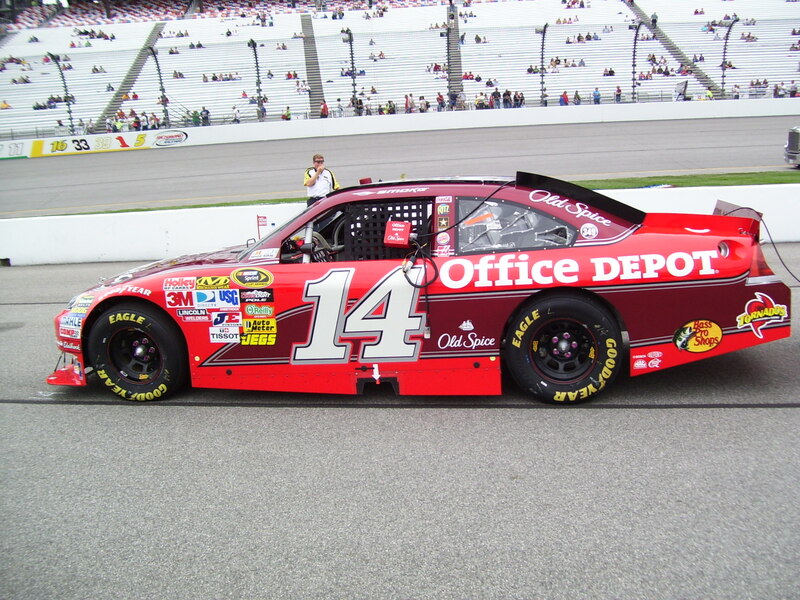 Jay and Jeff Burton’s car. 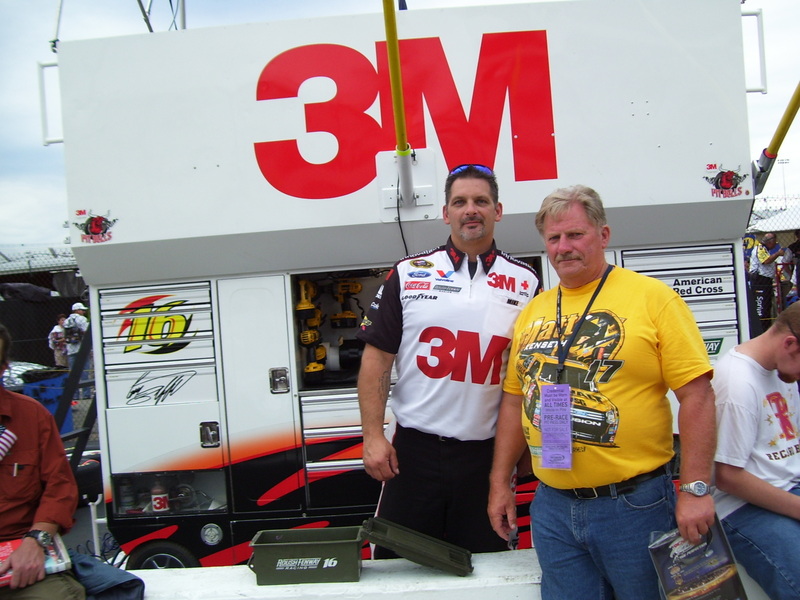 Bob with one of Greg Biffle’s crew at his pit. 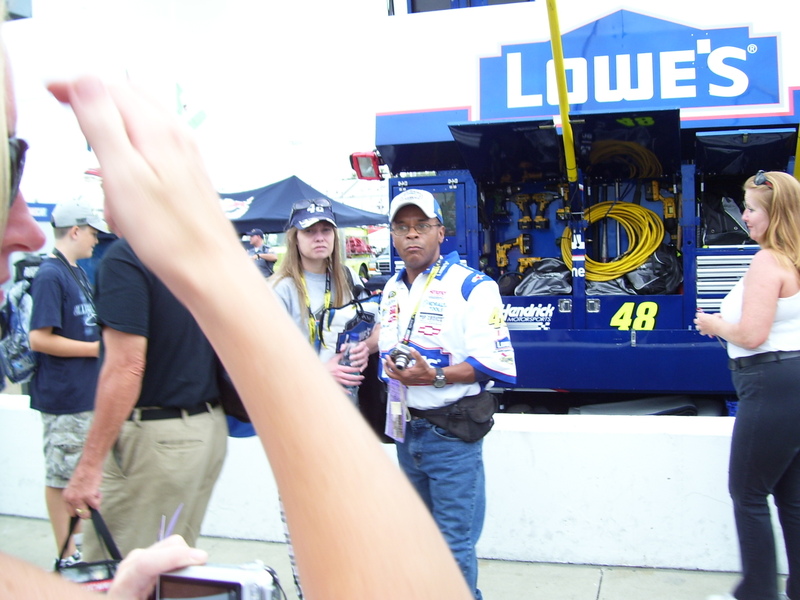 So like I said there were only two crew guys hanging out at pits to chat with fans, and I took pics of both. 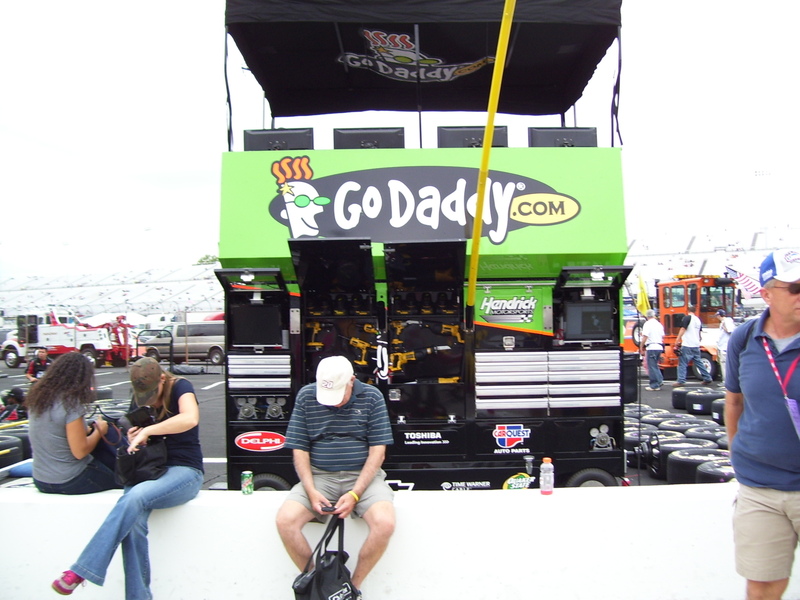 The guy at Greg Biffle’s pit was actually from Grand Manan, NB. So him and Bob had a great say and suddenly everyone was a little bit more of a Greg Biffle fan. Bob & Jay with Biffle’s NB connection. 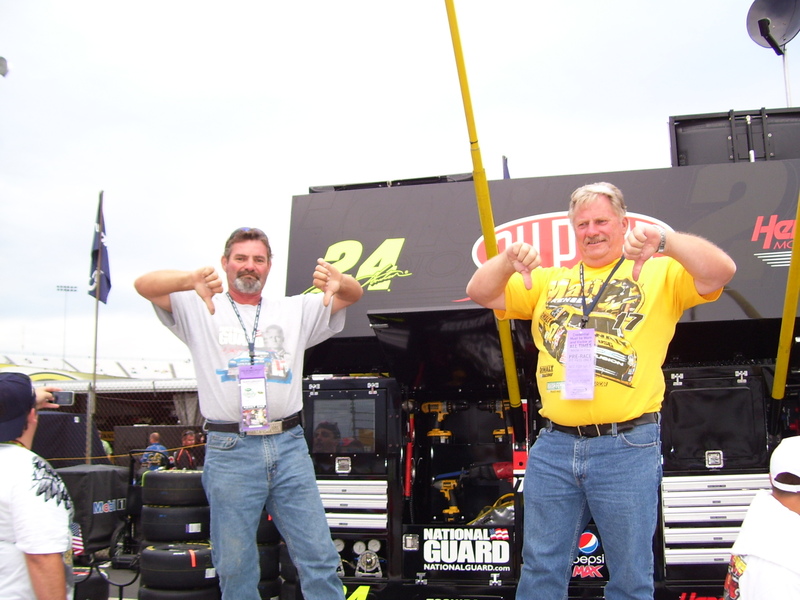 Jay & Bob at Jeff Gordon’s pit. We figured our seats would be somewhere around here. 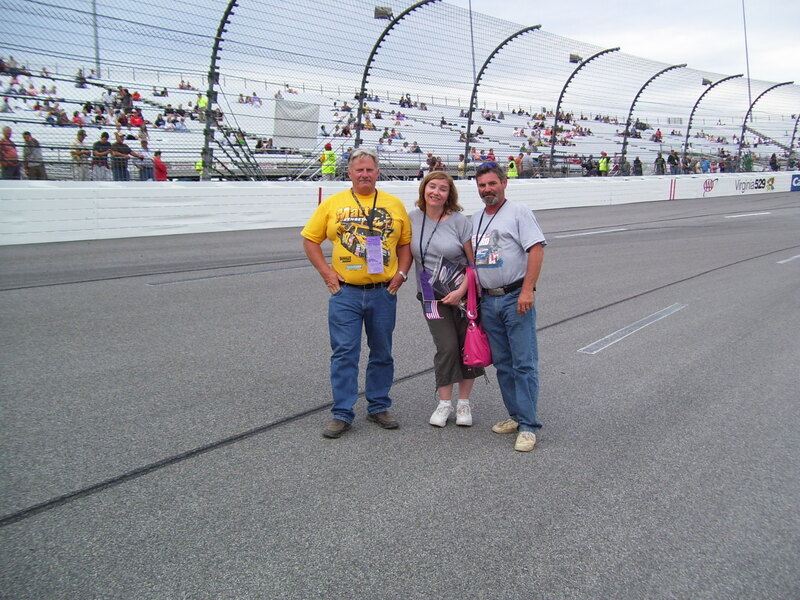 Bob, me & Jay on the track at Richmond. Yes, my smile is just a little bit too forced … and yes, I think I had to pee really bad. 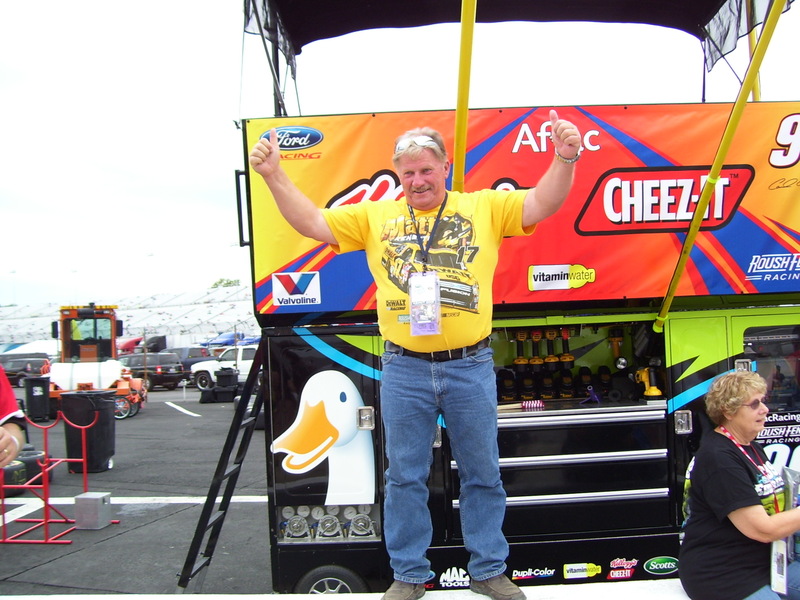 After the pits we went to some more vendor trailers and Bob bought some t-shirts for his son-in-laws, then we found our way back to the truck. John was quite tipsy when we got back. We had had drinks in the Green Zone but you couldn’t take any alcohol into the pits, so while John had been drinking the whole time, we’d slackened off a bit. It turned out he had a little adventure of his own while we were gone, helping some lady with two small kids find her car in the massive parking lot. She wanted to leave, but there was no way out of there until after the race, no leaving early. Luckily she had a DVD player and a bunch of cartoons to keep her kids occupied. 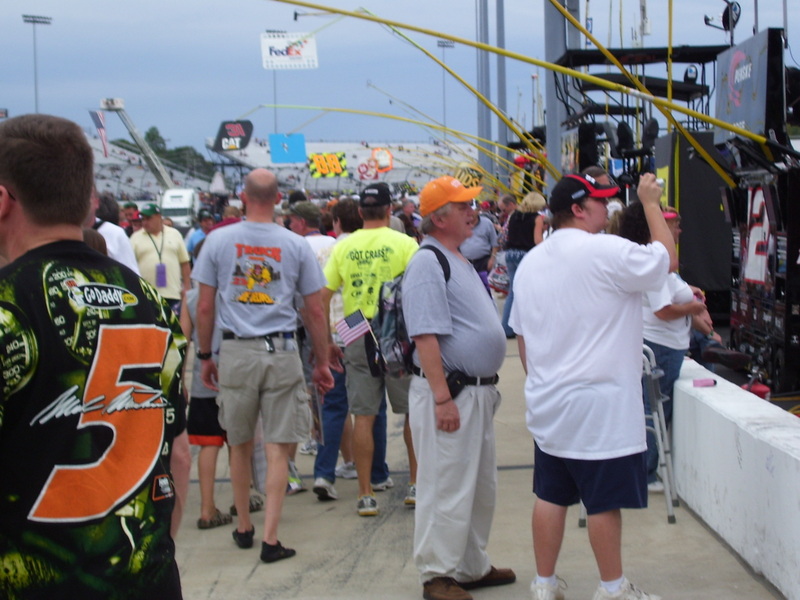 We packed two soft coolers with beer and joined the throng of people heading into the track to find their seats. There are WAY more crew members around the pits in NH. We go in at 8am and they are all still setting up everything. 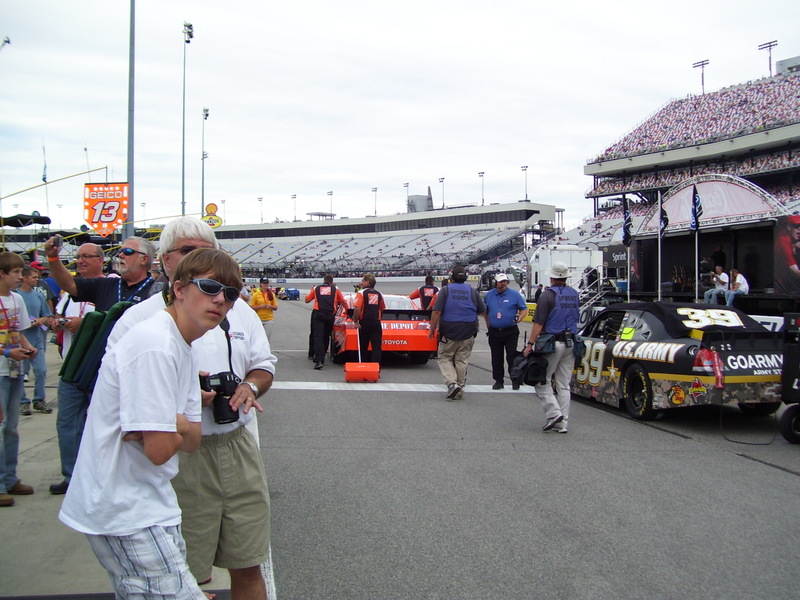 Then there is the National Gueard tent where Jeff and Dale Jr make an appearance so we hang to get a pic of them. 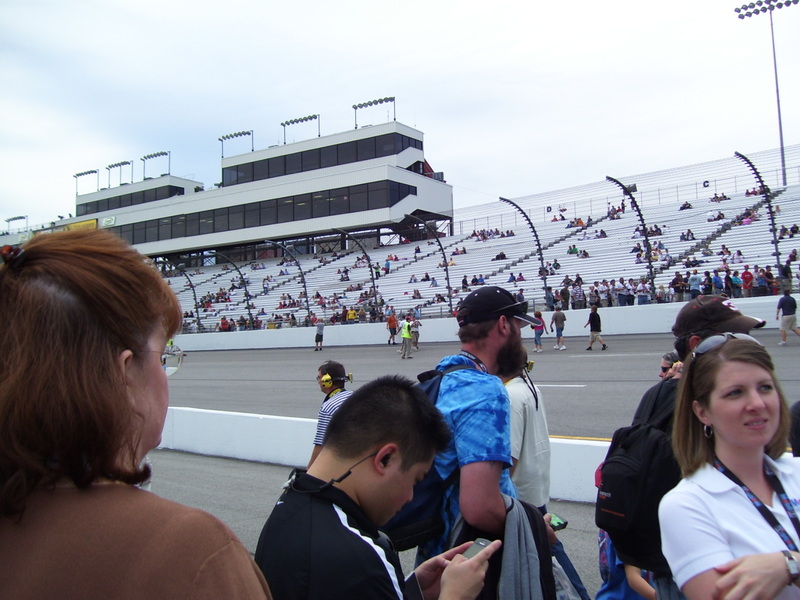 Then we can go outside the driver’s meeting and see all the racers and owners coming to and from. There is a town hall meeting where they have some snacks and juice/pop/water with the track owner Bruton Smith (jay would know who he is) and some other racing peeps. The time flies since there is alot we can see and do.